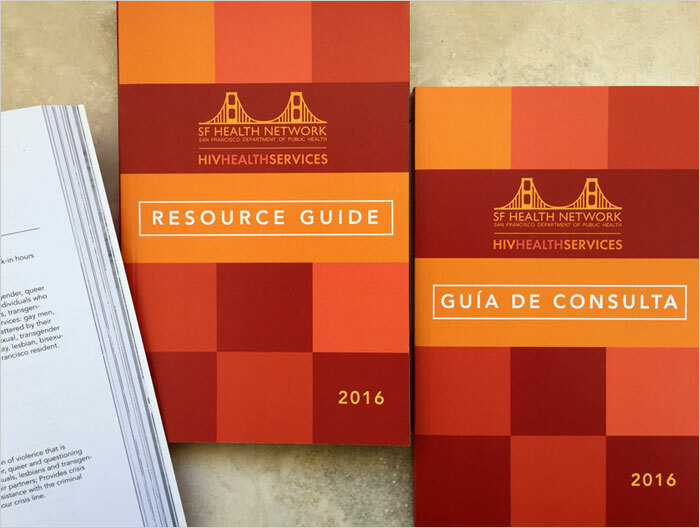 Padraic created this 160 page booklet for San Francisco HIV Health Services. The publication was distributed to local city organizations to help people living with HIV find easy access to resources. The booklet was also produced in Spanish and added as a flip book on their website, also designed by Padraic.